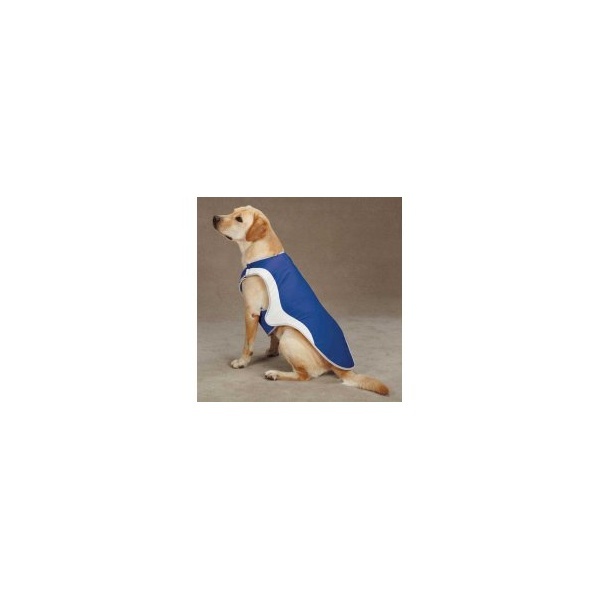 The innovative design of our Guardian Gear Cool Pup Coat exchanges the dog’s body heat with the coolness of cold water stored in the coat to keep pets comfortable. Its made of a lightweight and heat-releasing SPF fabric, this must-have coat stays cool for up to 6 hours and features a layer of underlay foam. 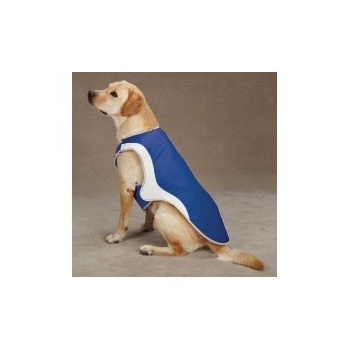 A sporty cooling coat that’s perfect for dogs that may overheat in hot weather. Jacket can be soaked in cool water to lock in a cool temperature. 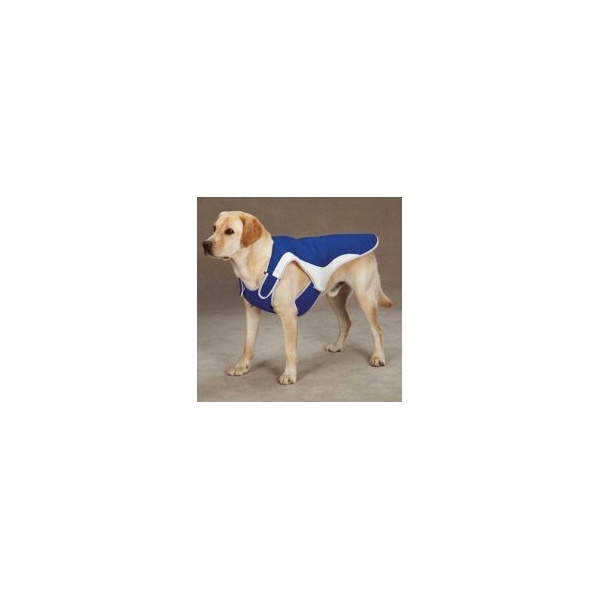 Fabric is designed to exchange body heat from dog with coolness in coat. Each comes with removable, reusable ice packs (2-9 depending on size). Light-colored fabric is laboratory-tested at 115 UPF, which means that it blocks over 99% of harmful UV rays.